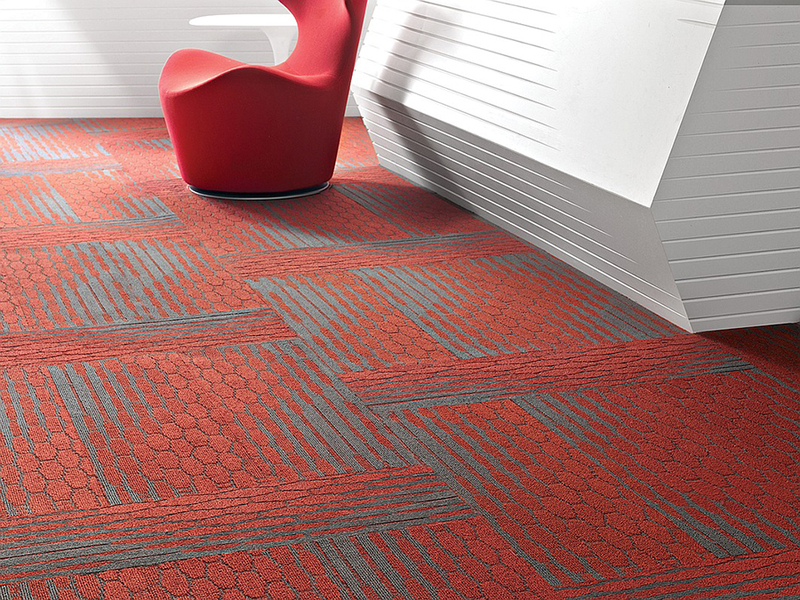 Enhancing acoustics, elevating comfort, and offering an attractive shot of color underfoot—carpeting can impact an interior in both subtle and obvious ways. Kick off your shoes and see what we’ve discovered. 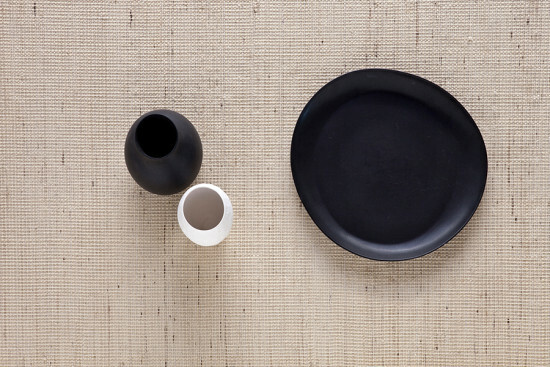 The new Tatami collection by Ariadna Miquel and Nani Marquina are the first color pieces to be part of Nanimarquina’s Natural Collection. Inspired by Japanese straw tatami mats, Tatami is made with a combination of soft, New Zealand wool and bright, structured jute. These complementary fibers are hand loomed together to create the perfect marriage of style and comfort. Available in several colors. 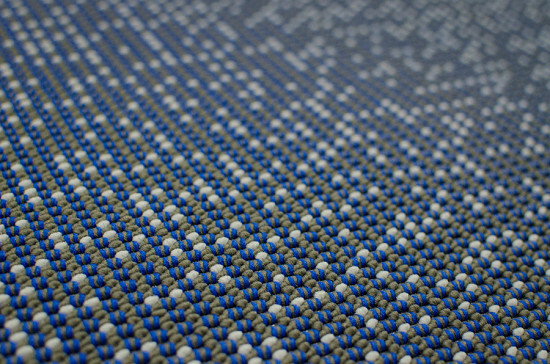 Cell carpet is not produced in a traditional way. No loom, knitting machine, or tufting technique is used; neither is it printed. 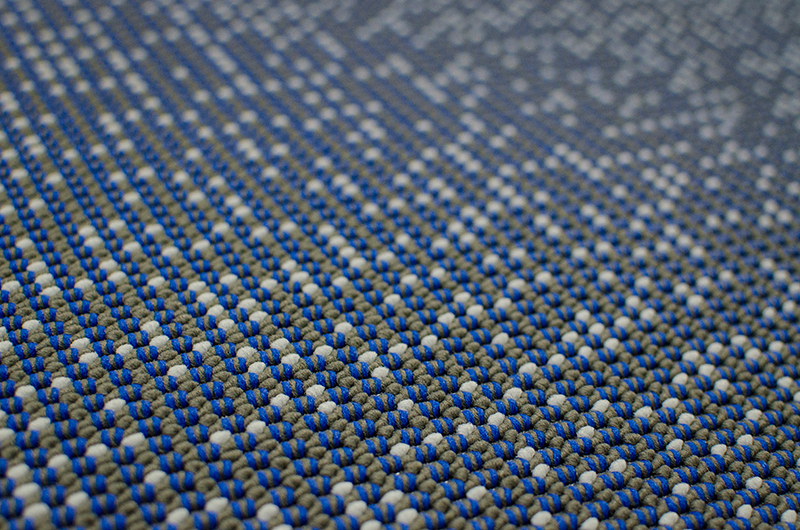 The material creates its own pattern. 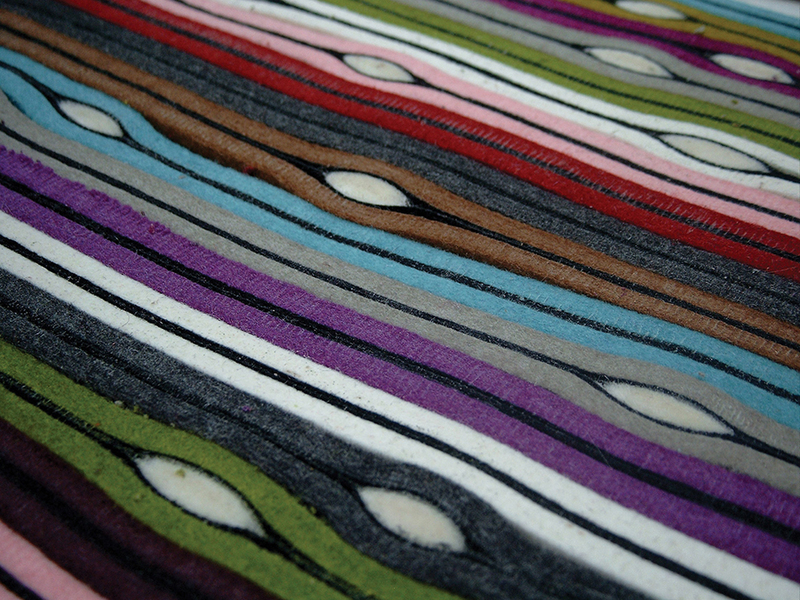 The carpet is made of industrial woolfelt, which is pressed and then cut into strings. The strings are put together randomly, so an organic, cellular-like pattern evolves, along with a playful finishing of the edges. If damaged, the strings can simply be replaced with new ones. A natural product, woolfelt is non-flammable, soundproofing, water-repellent and breathable. Cell is available in 32 colors. The accent stripes are in black or wool-white; the dots are always wool-white. When designing the new Hem collection, Ben van Berkel of UN/Studio drew his inspiration from the lively structures of natural and urban landscapes. The collection is based on non-directional patterns of colored dots, which appear in ever-new graphic images and are perceived in various ways when viewed from different angles and distances. Van Berkel explains that part of the intention for the designs and the patterns was to give them more complexity through the use of different colors and the directionality. This creates a spatial layering which is unusual in a two-dimensional surface, but can often be found in the architect’s work. Hem combines the playful lightness of varying pixel-like patterns with an extremely hard-wearing and durable woven carpet suitable for offices and hospitality projects. The Breaking Form Collection pushes past tradition, giving designers new approaches to color, shape, scale and movement via modular carpet planks. This collaboration with Mac Stopa of Massive Design explores bold lines and geometric patterns that transform the floor, a two-dimensional surface, into a seemingly three-dimensional plane. The 12-inch by 36-inch planks are available in three patterns and nine colorways. 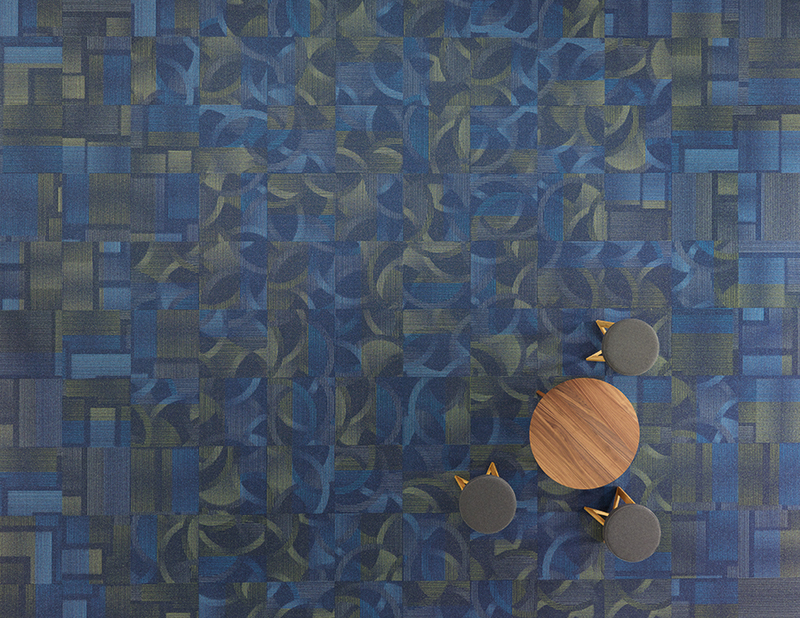 Letters, numbers and abstract elements are cut, rotated, deconstructed, and recomposed to graphic effect in this new collection of floorcovering. Transforming learning environments into motivational spaces, education makes a bold design statement in tile and performance broadloom. Offered in three 24-inch by 24-inch tile styles and two broadloom styles, Cut & Compose is easily installed in any configuration, and the unique color patterns, layered textures, and gradations allow dye lots to blend imperceptibly. 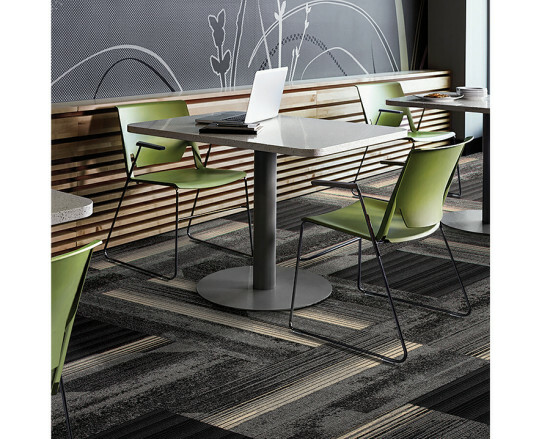 Manufactured with Shaw Solution Q Extreme 100% solution dyed nylon on EcoWorx Performance Broadloom and EcoWorx backing, this carpet is Cradle to Cradle Certified at the Silver level. Skinny plank carpet-tile modules measuring 25cm x 1m are new additions to the Common Theme collection of squares, creating a series that can yield uncommon and distinctive flooring design for a variety commercial and workplace spaces. Featuring clean lines and a neutral palette, the trio of additions includes: CT111™, a seamless look with grids of varying scale that form a collage of latticework; CT112™, a diffused design that produces a marbled effect; and CT113™, a style that delivers a strong punch of geometry. Easy to configure into a customized design statement, Common Theme planks and squares can be combined through color, contrast, and complementary styling, all with the benefits of simple, glue-free installation and selective replacement.